NEW DELHI - Starbucks Corp. has teamed with Tata Group to open outlets in India, targeting the growing demographic of young, urban and aspirational Indians. Starbucks chairman Howard Schultz was in Mumbai for the announcement and said that the company plans to become a "third place" for young Indians to seek out between home and work. Grey Group chairman and CEO Asia Pacific Nirvik Singh says the young, upwardly mobile male is the obvious target consumer, and he directly attributes India’s rise in coffee consumption to that demographic. Singh says the two most obvious challenges facing Starbucks are that India is traditionally a nation of tea drinkers, and that the South of India is very used to South India filter coffee, which tastes very different. There are also existing chains such as Café Coffee Day, Lavazza and Barista. "But Starbucks is probably the most well-known brand in (the coffee) space so they stand a good chance – so long as they can get their localisation balance right." Singh says if you localise too much you can lose your branding, while insufficient localisation might fail to appeal to a new market. Schultz said that catering to local tastes has been a successful part of their strategy worldwide and will be crucial in India. Christopher Lyons, regional shopper and retail marketing director at Leo Burnett Asia Pacific, agrees that local insight is key to success in a high velocity market like India. Brands need to "create sufficient likeminded principles (core elements) that are applicable across geographies and markets while also having built in the flexibility to understand local shopper insights and be able to swiftly and flawlessly execute them." He adds that India is still very much in the embryonic stage of modern retail development, with modern trade representing less than 14 per cent of the GDP. "In order to be successful with any new product launch, brands needs to be aware of the palatability of the product and invest significantly in sampling and trial," says Lyons. Schulz compared Starbucks’ potential in India to that of China, where the company recently announced plans to more than triple the number of outlets to about 1,500 in five years. 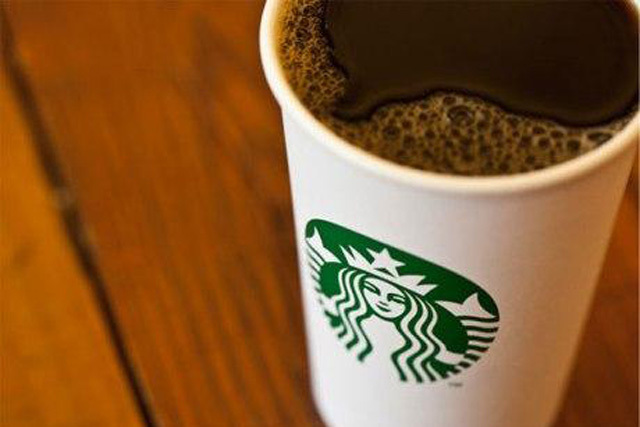 Starbucks recently dropped 'coffee' from its logo as it eyes brand extension. It is also reported that the companies are considering opening Starbucks outlets in Tata retail locations and hotels.